eebmike.com This is the best site for weather in La Paz and the Baja. www.latitudemexico.com This website is done by Roberto Serrano of Mexico City. 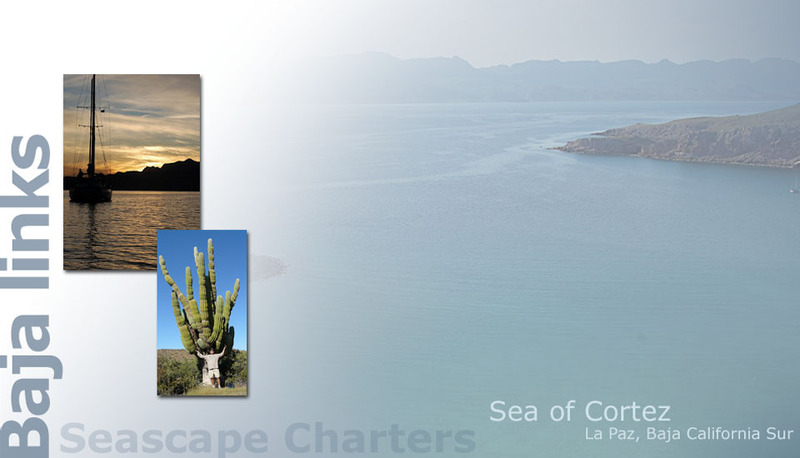 Roberto just loves La Paz and owns a condo in Costa Baja. and posted a write-up on their site. the yearly get-together for sailboats that come down to the Baja from San Diego. They have an excellent links page. the Cabo area. Its considered the website for la Paz. pescadeportivaenmexico.sectur.gob.mx The Secretary of Tourism in Mexico provides easy to understand information about sport fishing and fishing licenses (in English). Aero Calafia, Aeromexico, Aeromexico Connect, Interjet, VivaAerobus and Volaris. Saves border-crossing time both ways! OR ADDITIONS TO THIS PAGE.